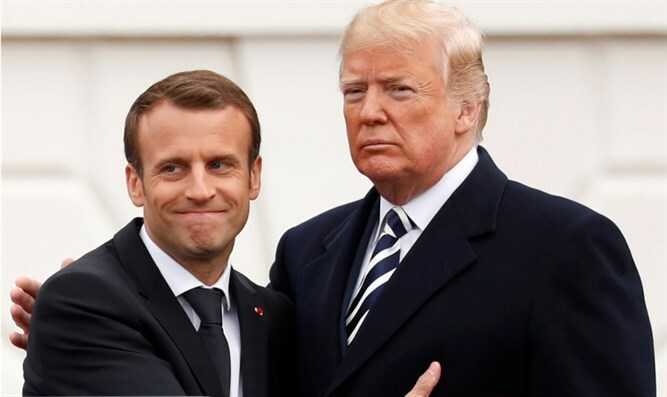 US President says he and French President Emmanuel Macron can reach agreement of fixes to Iran nuclear deal to prevent a US pullout. US President Donald Trump said that an agreement which would allow the US to remain in the Iran nuclear deal was possible. The president made the statements during his meeting with French President Emmanuel Macron in Washington DC Tuesday. "We could have at least an agreement among ourselves fairly quickly," Trump said. "I think we're fairly close to understanding each other. And I think our meeting, our one-on-one went very, very well." During the meeting, Trump called the nuclear deal "insane." Trump has signaled that he will withdraw from the Iran nuclear deal if substantive changes are not made to the agreement, which he called the "worst deal ever negotiated." He gave European leaders until May 12 to fix the flaws in the deal. In October, Trump announced that he would no longer certify to Congress that Iran is in compliance with the nuclear deal. During his speech, the president said that Iran was led by a "fanatical regime" whose "aggression continues to this day. The regime remains the world’s leading state sponsor of terrorism." French President Emmanuel Macron said that "the Iran deal is an important issue but we have to take a far broader picture which is security in the overall region." "What we want to do is to contain Iran and its presence in the region," he added.